The world of sharing is so rich because so many great people choose to share freely. Would you like to share your work in a way that others can easily make use of it? Here are some tips. License your work under a Creative Commons license. The easiest way to do this is to just write “Copyright [your name], licensed under CC BY” (or whatever license you choose) on your work. You can also use the Creative Commons license chooser. Once you choose a license, it will give you a bit of HTML code to paste in your web site. This will make your works more easily found by search engines. Freesound for sound effectsPost your work on sites that make sharing easy. These sites all support Creative Commons licensing. Use formats that make remix easy. This means avoiding things like PDFs and using files that folks can easily edit. Tell the world you are sharing. Tweet, post, yell it from the rooftops. Spread the word about sharing. 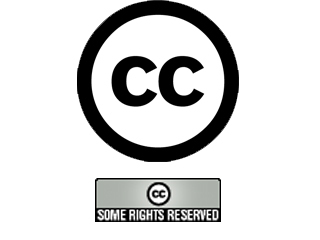 Tell others about the benefits of using a Creative Commons sharing license. The more we all share, the better life is. A video from Creative Commons about why they formed, what they do, and how they do it.